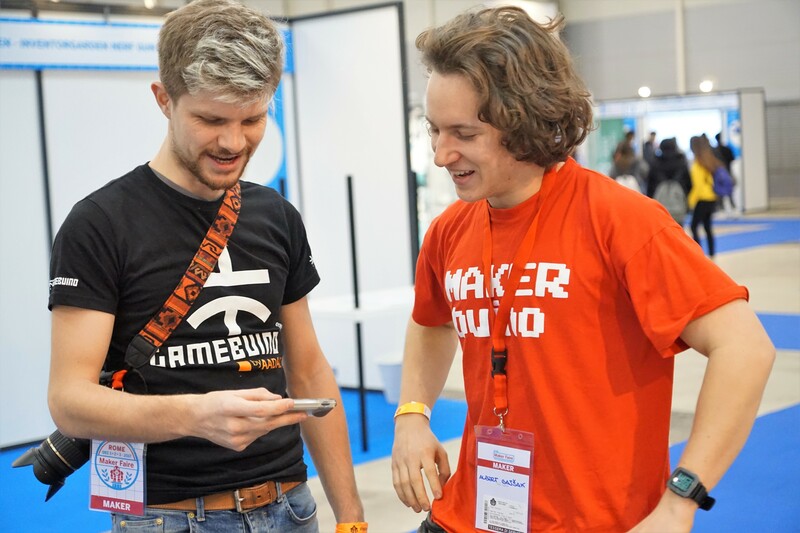 The MAKERbuino project would not be possible without a great amount of support from the Gamebuino team, especially its creator Aurelien Rodot. 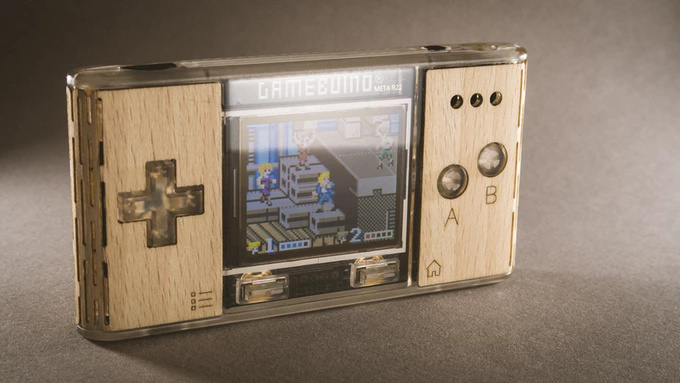 In case you already don’t know, the Gamebuino team recently released a Kickstarter campaign for their new project called Gamebuino META - it’s a sequel to the original Gamebuino - a game console that heavily influenced MAKERbuino and motivated me to start MAKERbuino’s Kickstarter campaign. Gamebuino loves MAKERbuino and MAKERbuino loves Gamebuino. 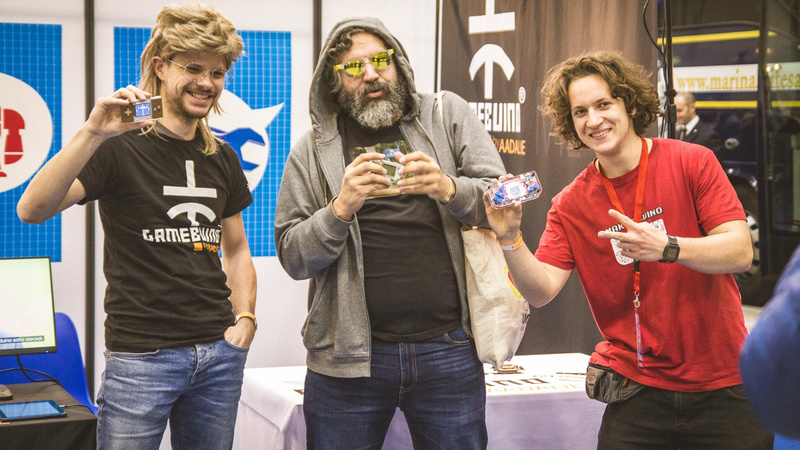 I had an opportunity to chill with Aurelien Rodot on a Maker Faire in Rome two weeks ago and I’ve tried playing a couple of games on the new Gamebuino. Aurelien did a really great job and I find the product just amazing. You can still get yourself a META until 23rd December! Support the campaign and give Gamebuino an extra push! Do you know who the bearded guy in the middle is? Rome is a pretty cool place, come to the Maker Faire next year and we’ll all have some Italian beer and weird Pizza with pineapples. Nice photos and it’s left some days on kickstarter to join this cool META project and Albert you will not have time to finish your own project that you’ll have already to think at the next: the METAMaker ? the MAKERMetabuino ? lol. Yes i know that it’s too early for all to think about that. METAmaker or MAKERMetabuino is a possibility but, as you already said, we’re still too busy with the existing product. I would love to get the chance to build my own “MAKERmetabuino”, Makerbuino was so much fun to build and debug. But for now, I can’t wait to get my very own Gamebuino META in February. Hope everyone at CircuitMess have great winter holidays and an even greater 2018. Have fun and may 2018 be more fun again. @Jean-Charles_Lebeau @neo.lode, thank you! We all at CircuitMess HQ wish you happy holidays.